Are you tired of relying on the expensive produce from the grocery store? Time is ripe for you to grow your organic food at home. Deciding on the best healthy vegetables, you can grow at home can be a daunting task especially if you are only willing to do it with the least hustle. Organic produce is healthy and when it’s grown at home, it gives you the freedom to enjoy nutritious and delicious foods. The vegetables are harvested at the peak of their freshness meaning they maintain a lot of their nutritional values. They give you not only an affordable alternative but also the confidence and joy of knowing where the food came from. To get the best from home-grown vegetables you do not have to be a farmer. If you have space at home you will only need to take some considerations and you will be good to go. When deciding what to grow some of the things to consider will include; what tastes best for you, how much effort you are willing to input, the nutritional values you want etc. Do not be stopped if your yard is not big enough. You can grow the vegetables in containers and still reap the benefits of these nutrient-rich vegetables. Before we introduce the best healthy vegetables for garden or home that you can grow, here are a few tips that will be of great help. 1. These vegetables thrive in different soil environments, therefore depending on the plant you want to grow you can either purchase a potting mix or go for organic soils. If you do not know where to start, this guide will be helpful. 2. The Soils should be well-drained if you use containers either makes holes at the bottom or arranged stones at the bottom before adding your soil mix. In case you make holes at the bottom of your container be sure to include a drainage container to prevent water from draining onto your shelf, floor or windowsill. By using best garden dump cart, you should clean all dead leaves, broken bricks, small rocks and yard waste etc. 3. Grow your vegetables in a place that receive enough sunlight; this will maintain good temperatures for them to thrive. Select sunny windows if you are growing your plants indoors in case of low-temperature areas purchase grow lights, they will maintain perfect temperature and light conditions for the plant. Not sure what to grow? Consider starting with the following 5 easy-to-grow vegetables. The freshness of homegrown tomatoes is the reason it’s very popular amongst home gardeners. Nothing is as tasteful as a perfectly ripe, juicy tomato harvested off the vine at the peak of its freshness. Eating ripe tomato is incredibly good for your health because it is an excellent source of fiber, folic acid, biotin, carotenes, vitamins B6, C AND K, magnesium, potassium, niacin and iron. You have many ways to do with tomatolike steaming it on the top of stove in the cookware, make sauce or just eat it fresh. Tomatoes come in many sizes, color, and shapes. 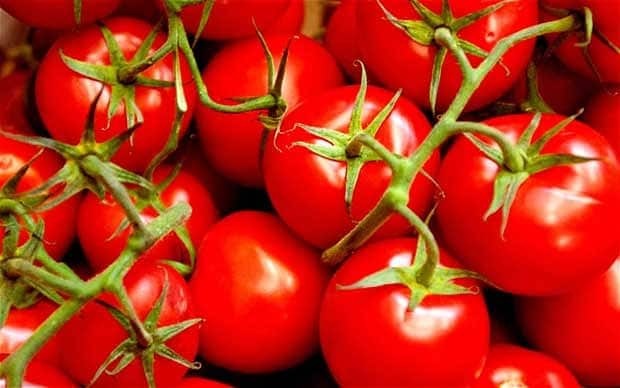 However all of them do well under similar conditions, therefore to successfully grow tomatoes grow them in good soils, water them regularly and ensure they get enough sunlight (about six hours in a day). Whether you plant them in your backyard or containers, the soils need to be well drained, rich and full of compost. Containers for growing plants vary in sizes. A bottle of at least 18 inches in depth will be good for growing indeterminate tomatoes while 12 inches of depth is good for determinate species. When growing patio or dwarf tomatoes a container of 8 inches in depth will be perfect.Grow one tomato plant in every container or pot. The hornworm is a major concern for many tomato farmers, watch your plant and remove these caterpillars whenever you spot them. If you see any signs of blight seek for a remedy as soon as possible. Freshly harvested carrots are the crunchiest and the sweetest. 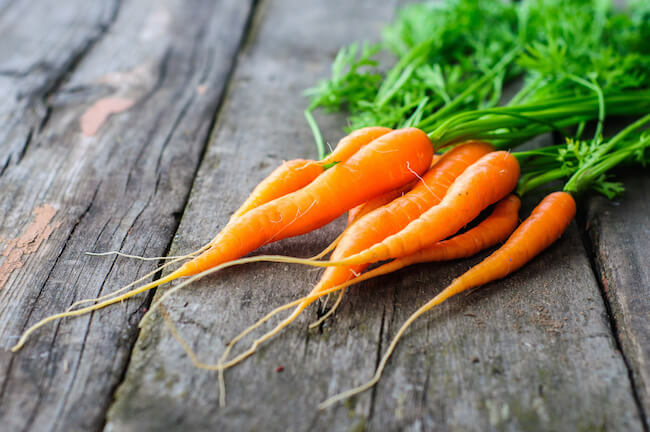 Besides, they are very rich in thiamin, fiber, potassium, magnesium, folate, niacin, and vitamins A, B6, C and K. carrots are also very high in carotenoids which are incredibly good for eye health. You should sow the carrot seeds 2-3 inches in a 12 inches deep pot/container. The best varieties to grow at home are the shorter one likes Danvers half long and Thumbelina. The carrots should regularly be watered to prevent them from growing fibrous and bitter. Always harvest the carrots when at the perfect size, they are tastiest small. Do not leave your carrots in the ground for too long; they can become woody, and very large hence losing the taste. This vegetable is less common, but you can grow it at home. 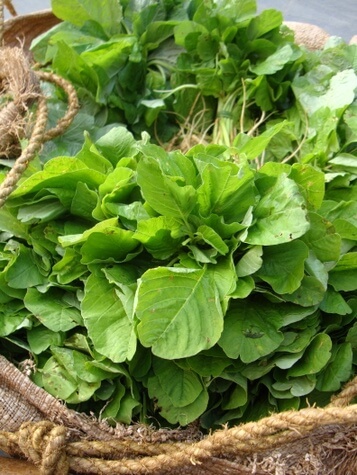 The leaves of amaranth plant are very rich in nutrients. They are very sweet, and their tangy flavor goes well with a number of dishes. This is the best alternative to kales and spinach because its leaves are heat-tolerant and do not bolt in the summer. The leaf amaranth is rich in iron, magnesium, potassium, riboflavin, vitamins A, B6, and C, phosphorous, calcium, and zinc. Scatter the tiny amaranth seeds in a growing container which is at least 8 inches in depth. Water regularly, and ensure they are exposed to sunlight. The leaves are ready for harvest when they are 2-4 inches tall. This is one of the easiest vegetables to grow at home because it’s almost problem-free. This is another amazing vegetable to grow at home. 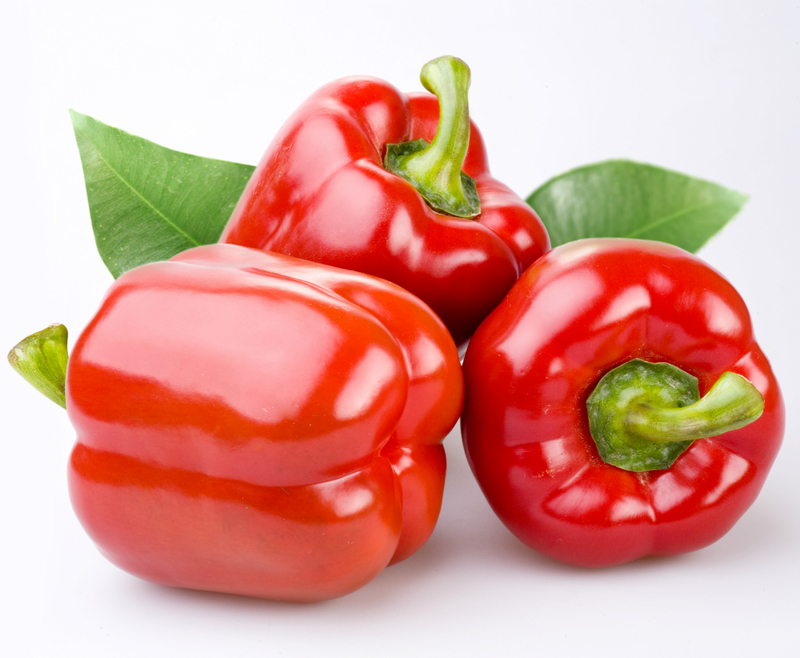 Red bell pepper is rich in vitamins A, B6, and C, riboflavin, and potassium. Use 8-12 inches deep growing containers and grow one pepper plant per container. Pungent garlic is well known for its ability to fight cancer. This vegetable is also linked with the capacity to control blood pressure, cholesterol and heart diseases. The garlic greens are best cultivated in a 4-inch deep container/pot. 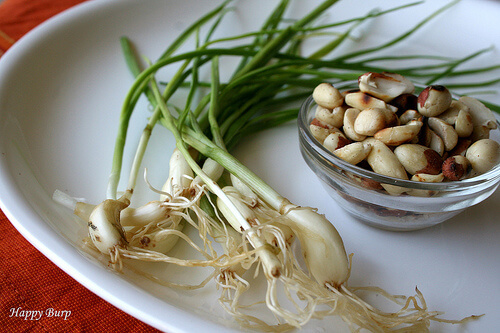 Break the garlic bulbs and plant each clove into the soil with its point end up. Each container should accommodate about 12 cloves planted close together. The shoots of the cloves will appear in about seven days. Always ensure the soil remain moist by watering the plants well. However, it should be done in moderation to prevent the soil from becoming soggy. The list of best healthy vegetables you can grow at home is endless. You just need to make a wise choice depending on what you use on a regular basis and what works best in your areas.